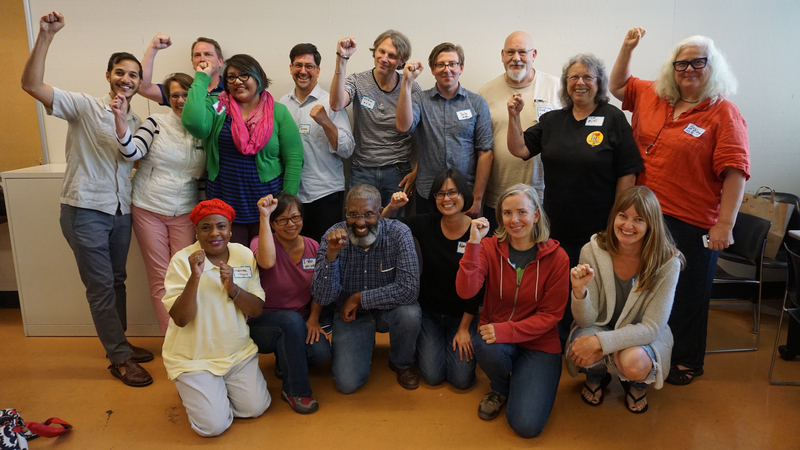 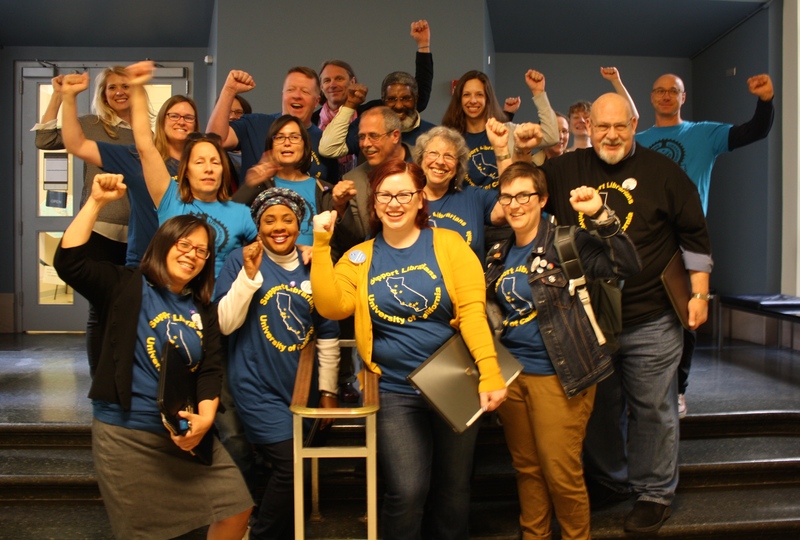 We’ve assembled a page of press releases from the bargaining team. 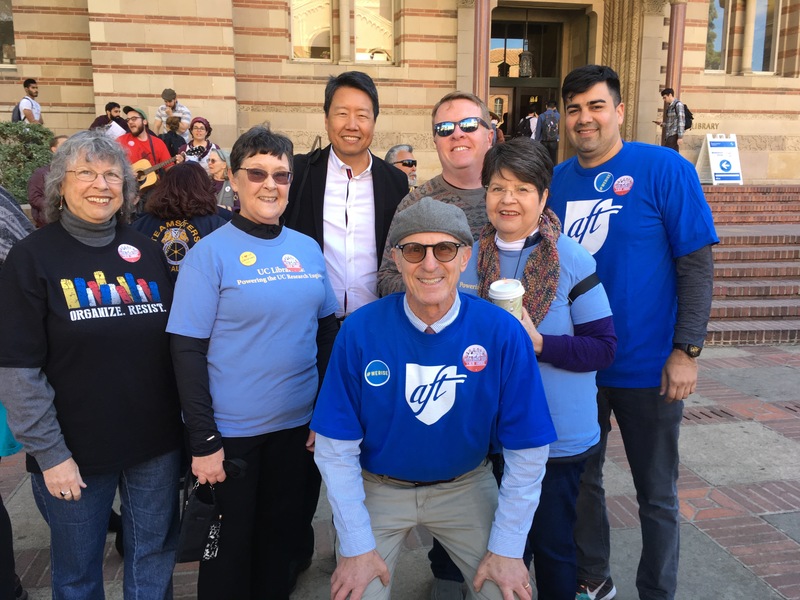 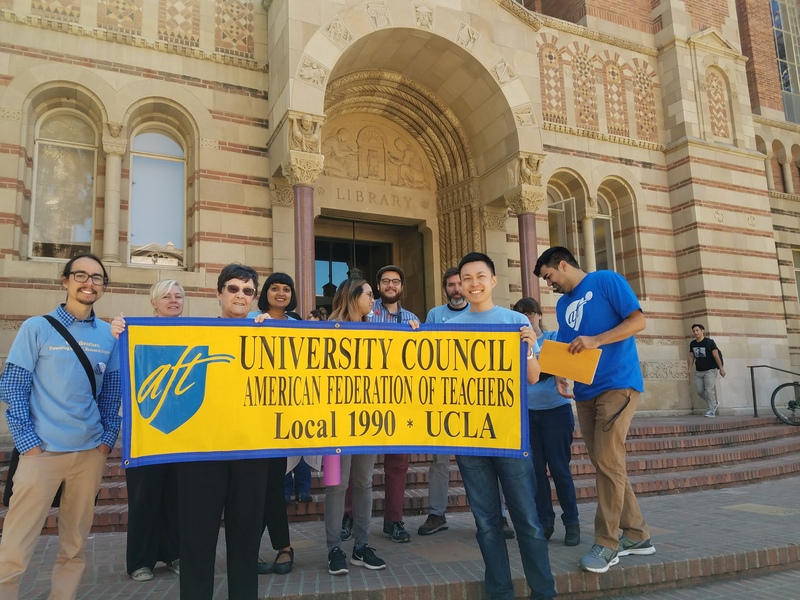 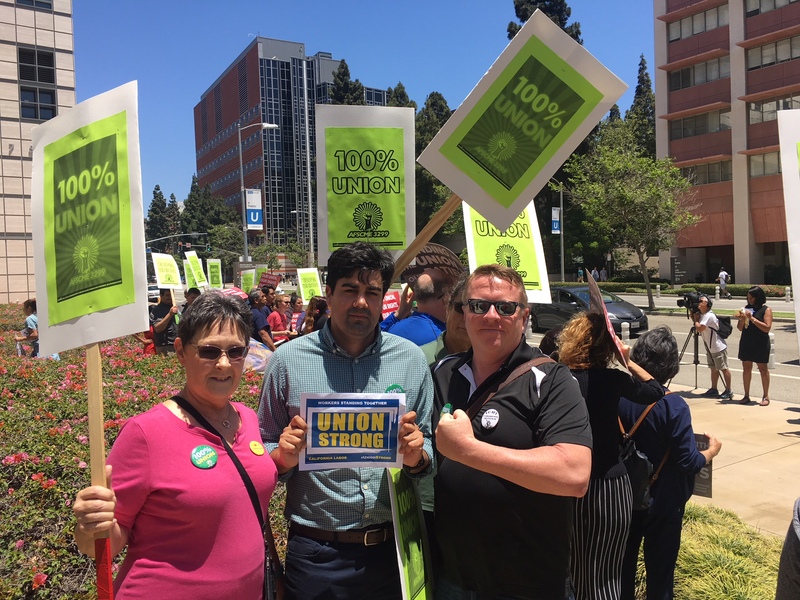 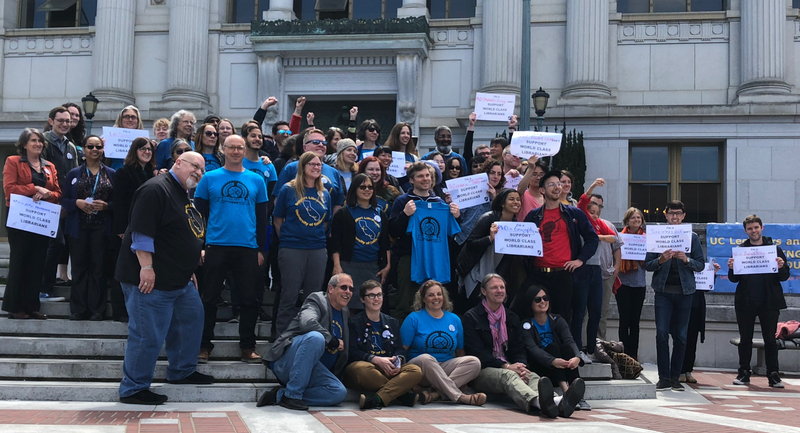 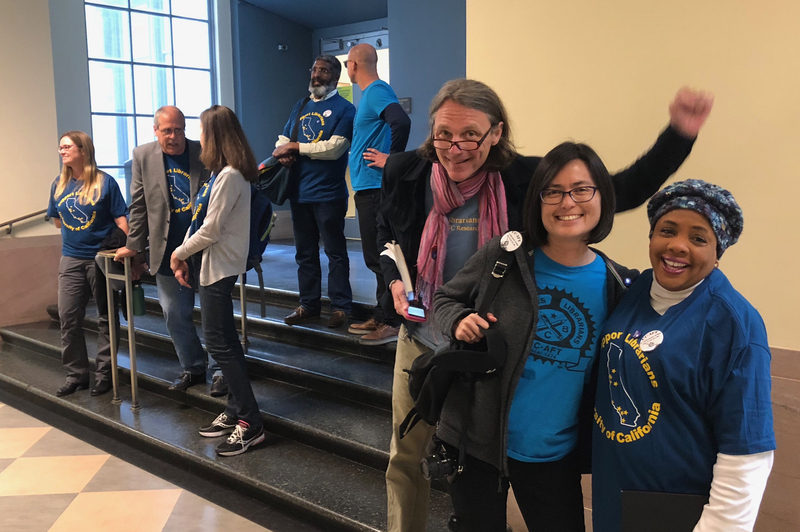 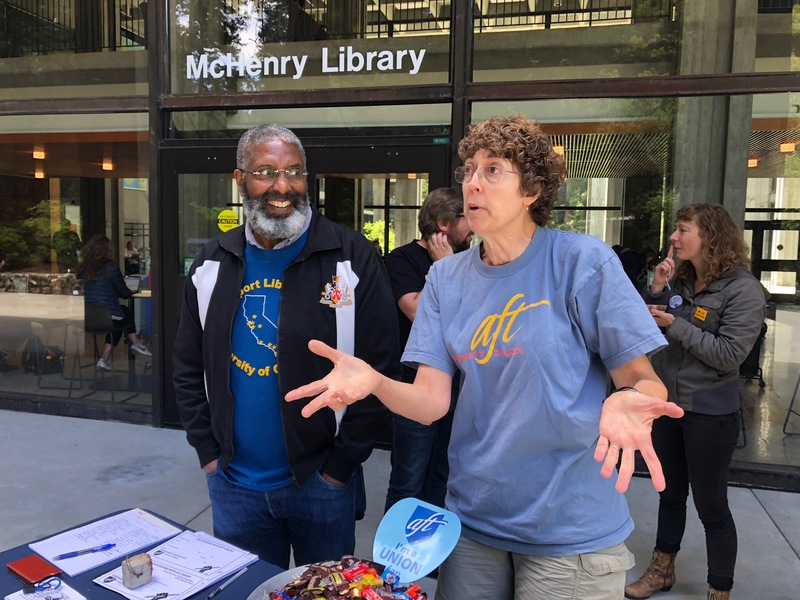 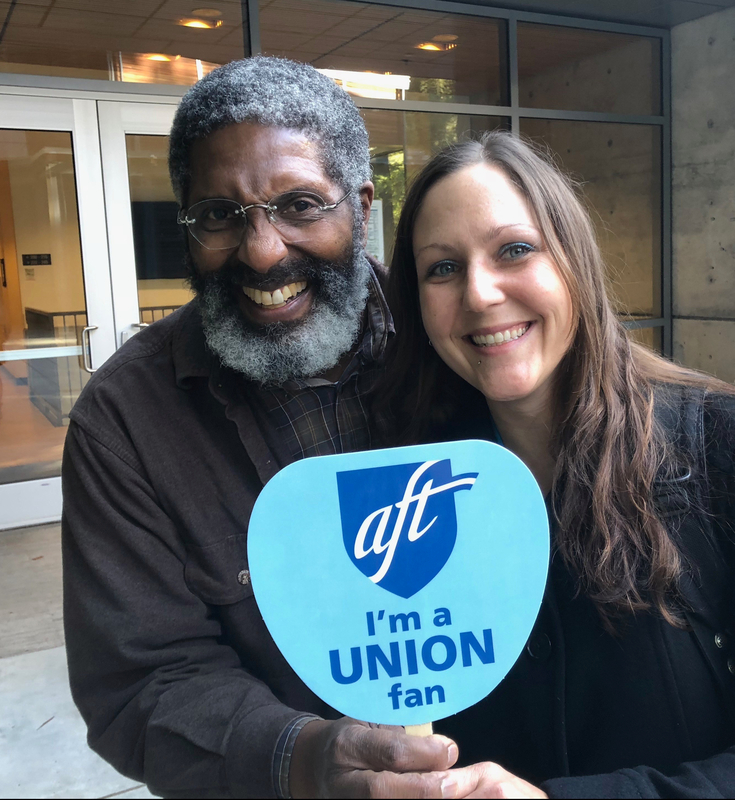 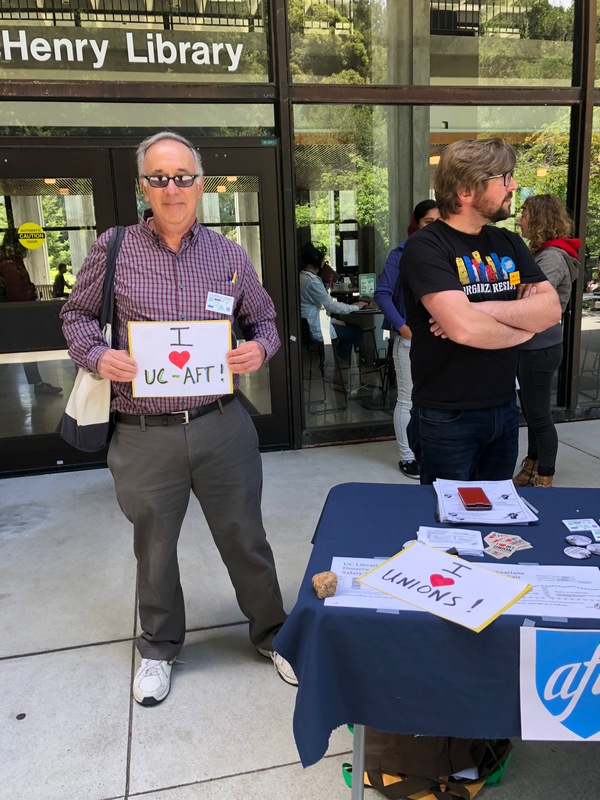 Here’s a list of UC-AFT bargaining stories In the News. 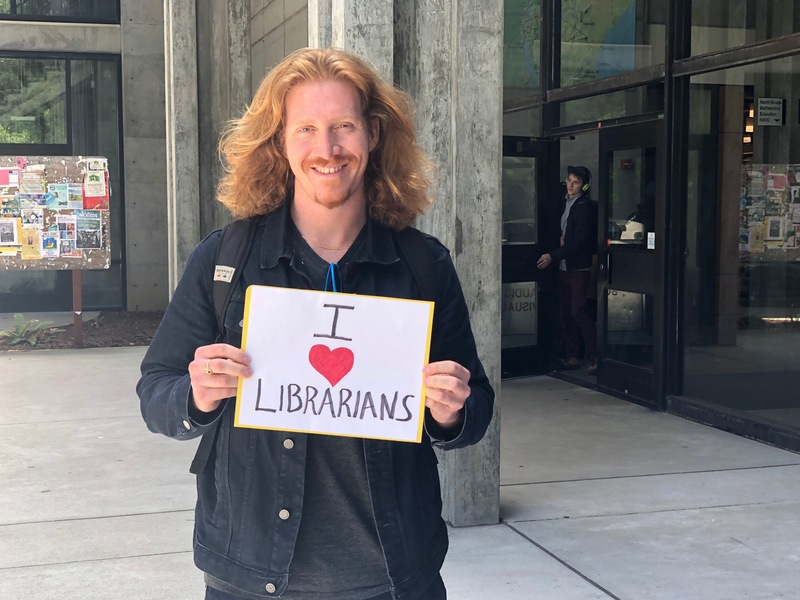 When you see additional stories in the news, be sure to let us know! 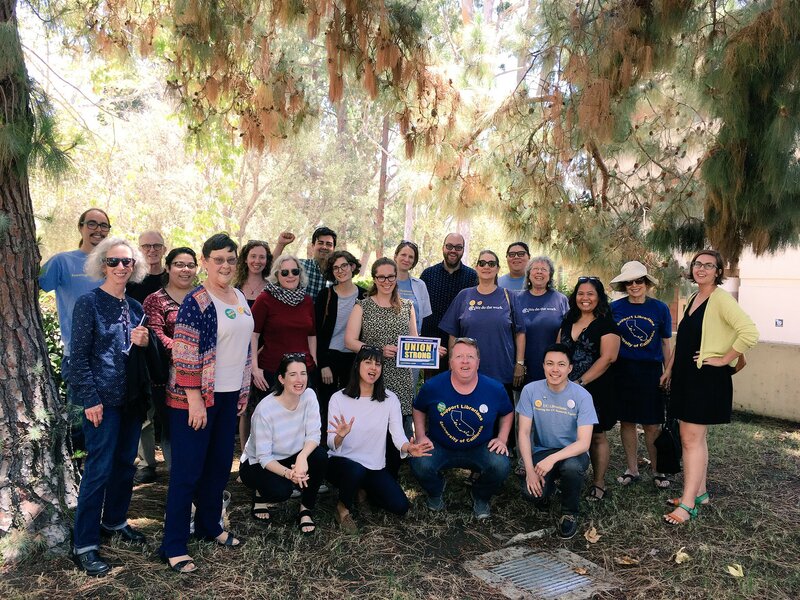 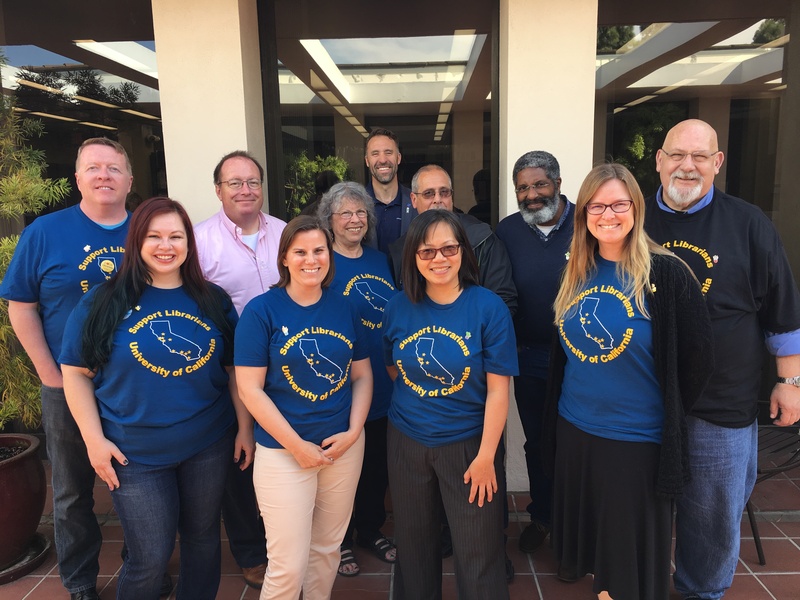 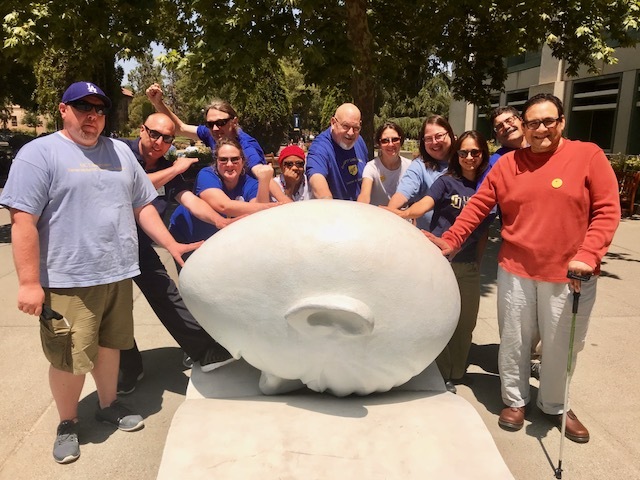 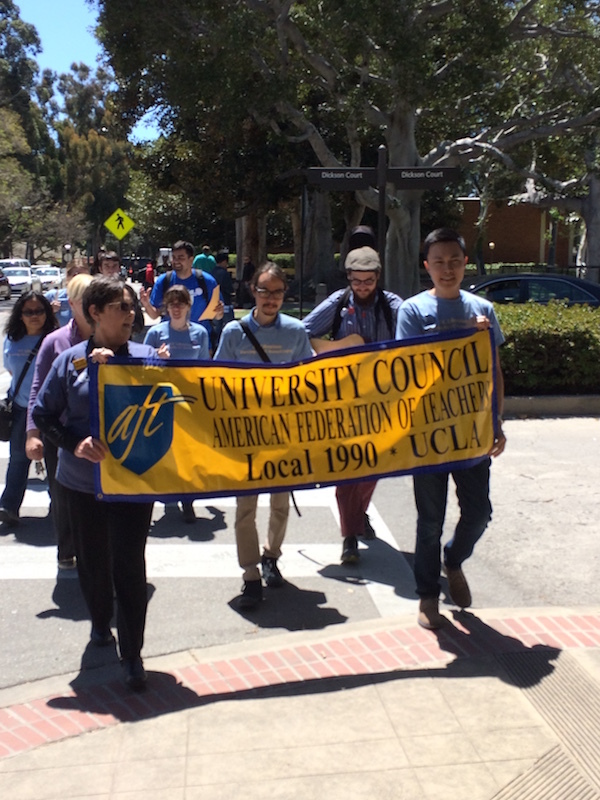 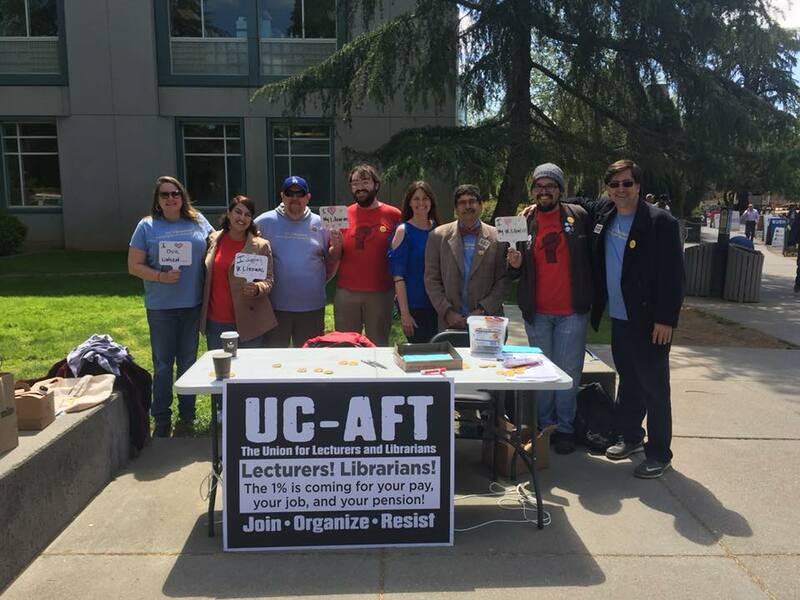 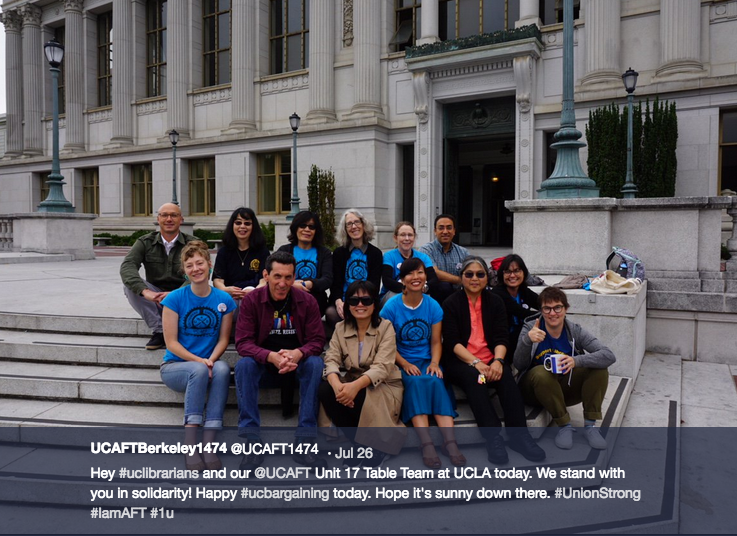 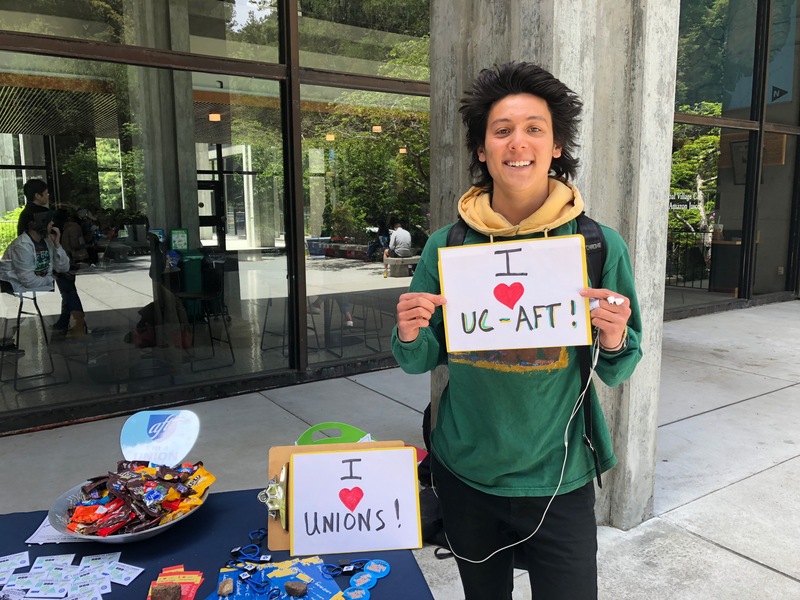 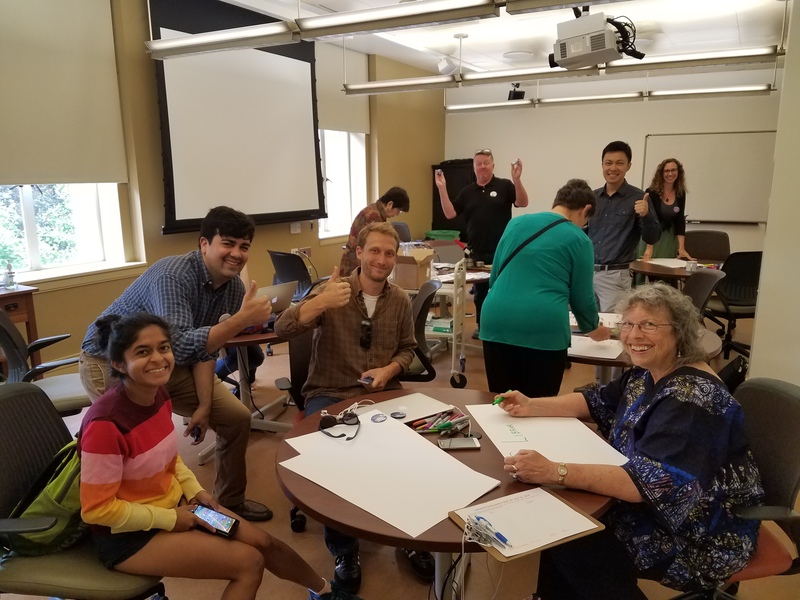 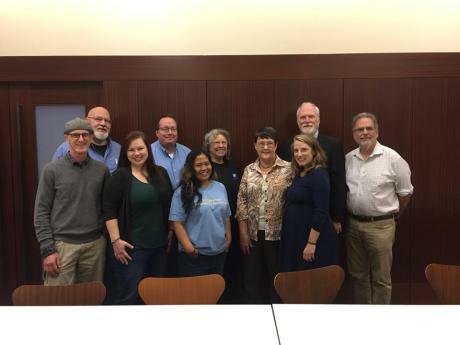 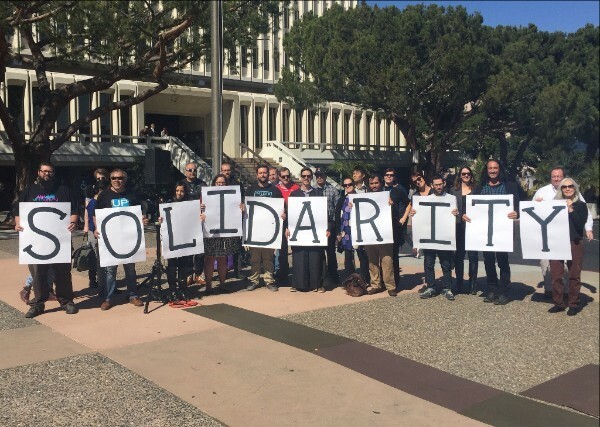 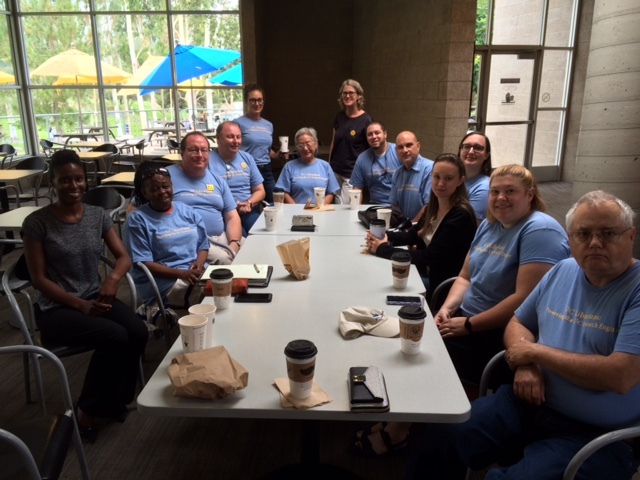 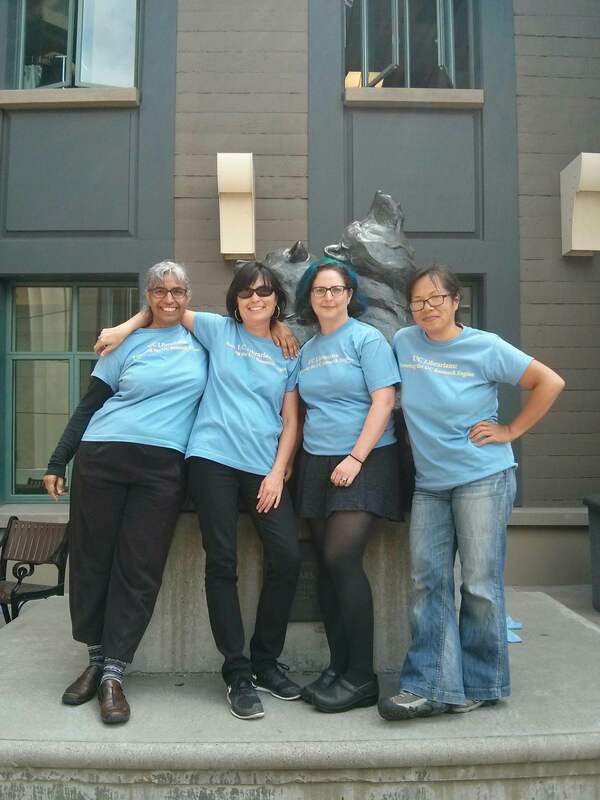 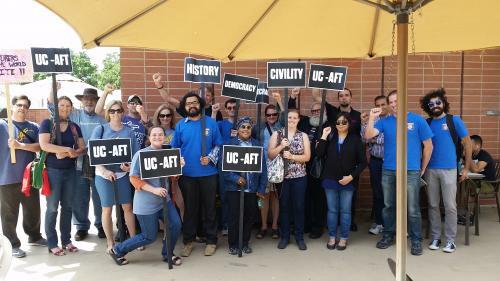 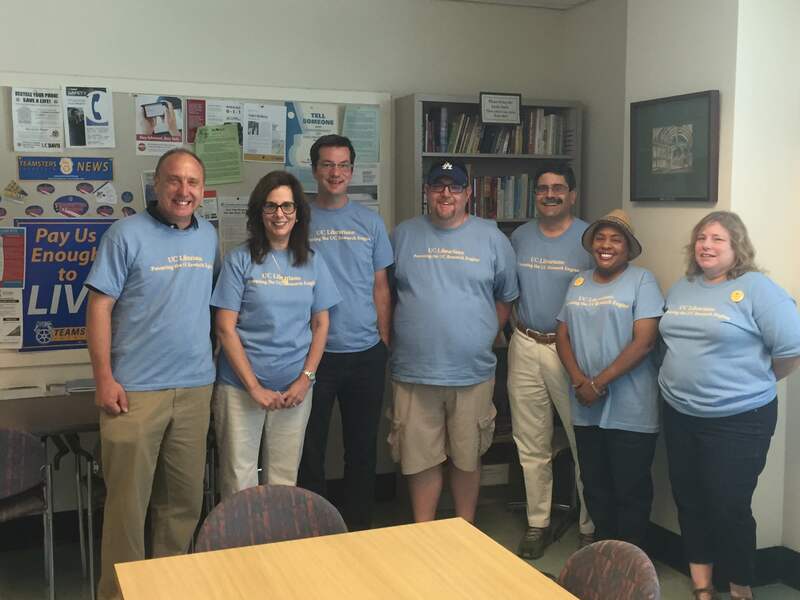 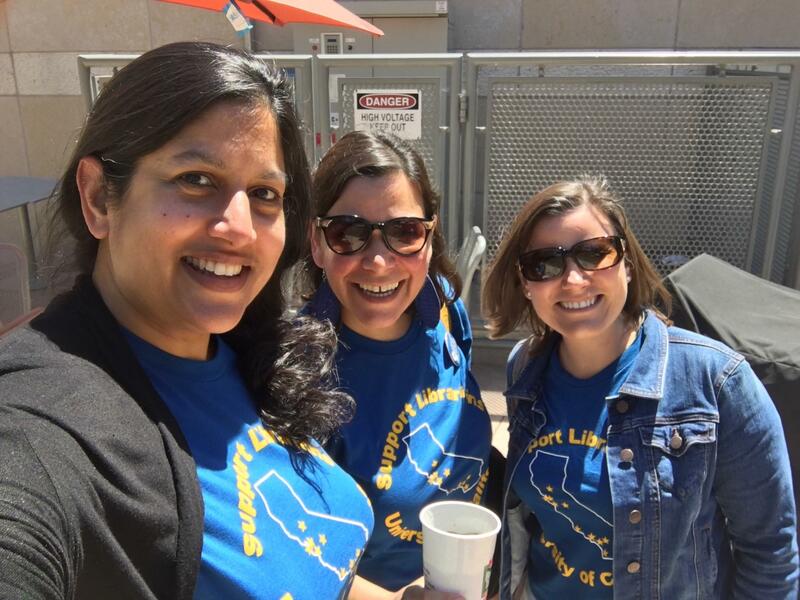 UC-AFT Statewide and most campus locals have a presence on Social Media. 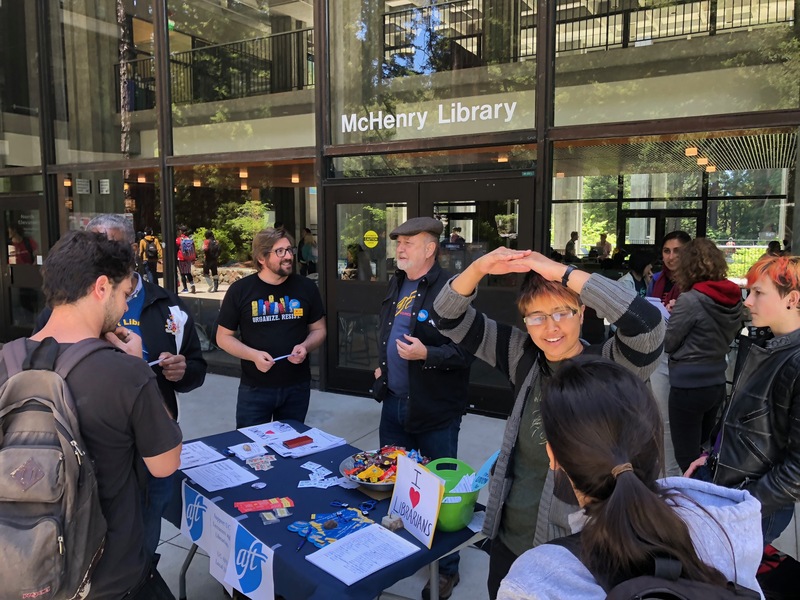 We’ve provided links to them all, as well as some tips and suggested hashtags for elevating our Social Media footprint. 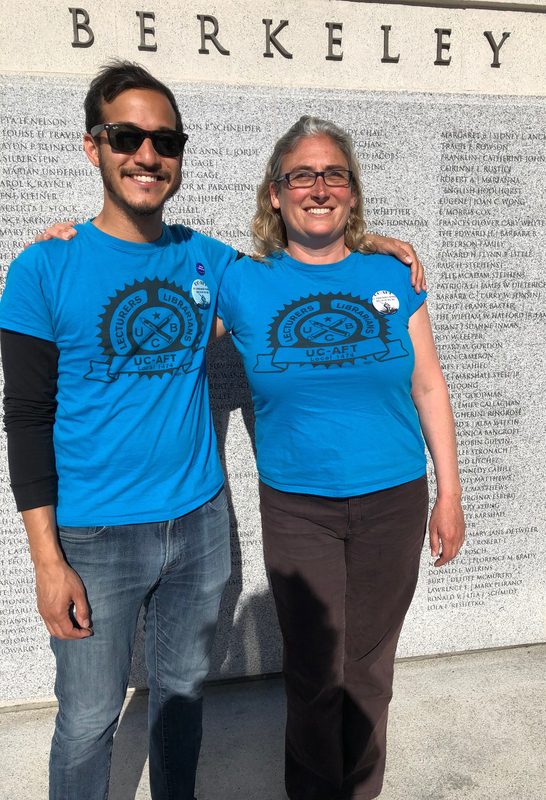 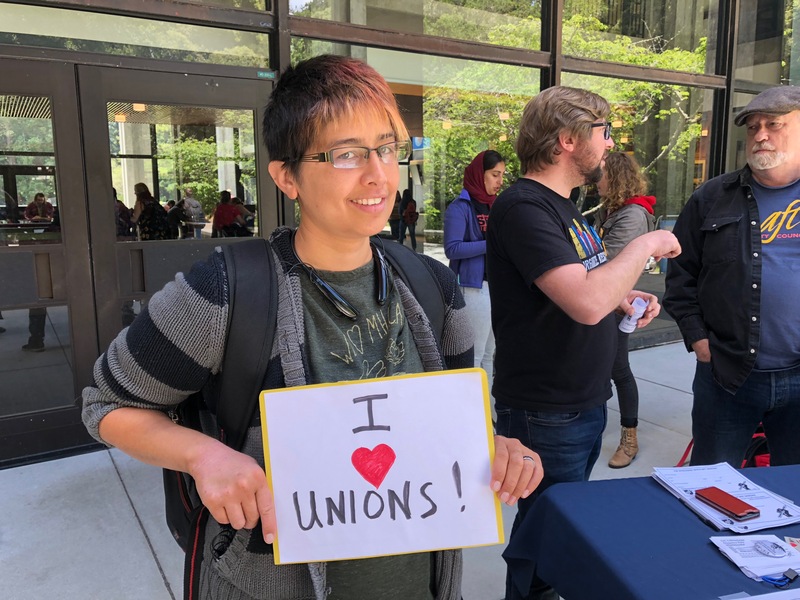 Also, here’s information on the t-shirts made for this bargaining campaign, and materials to make your own buttons. 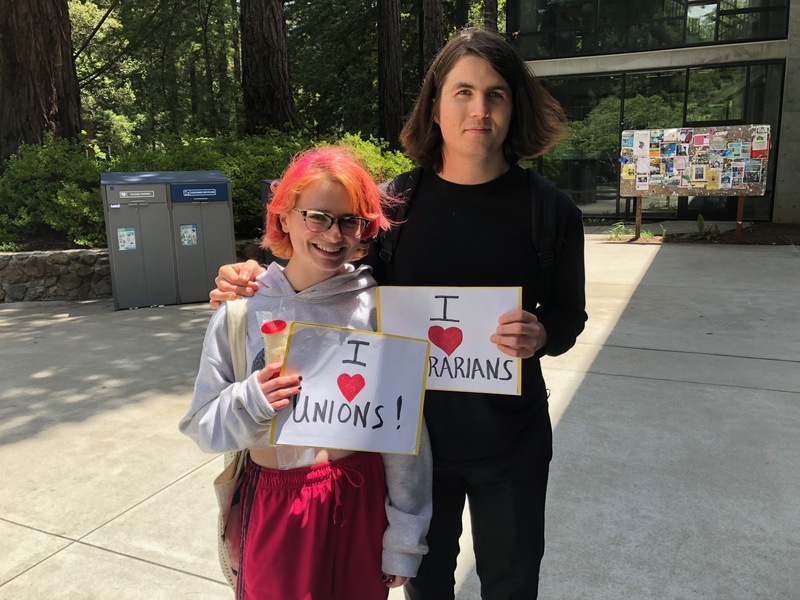 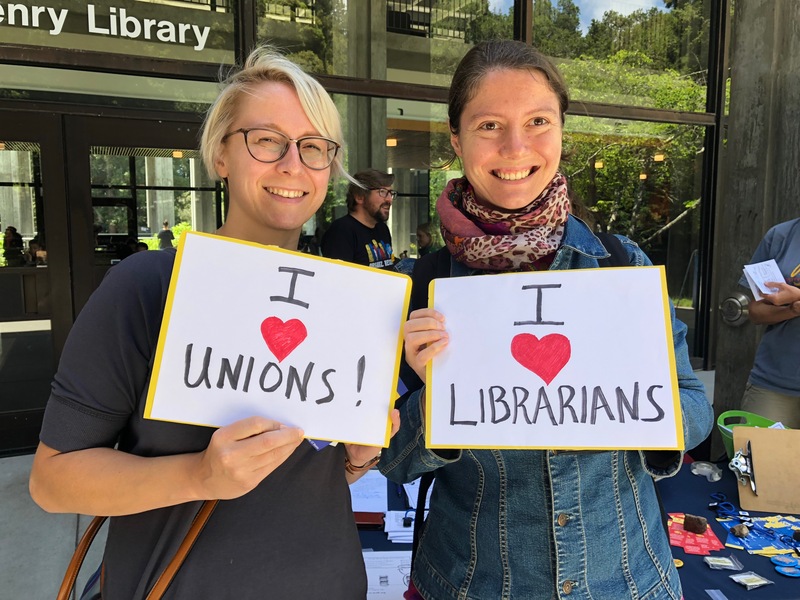 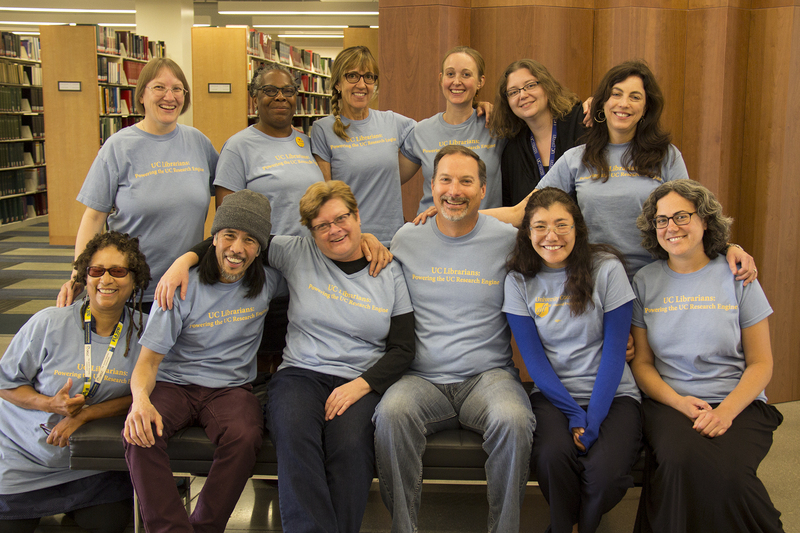 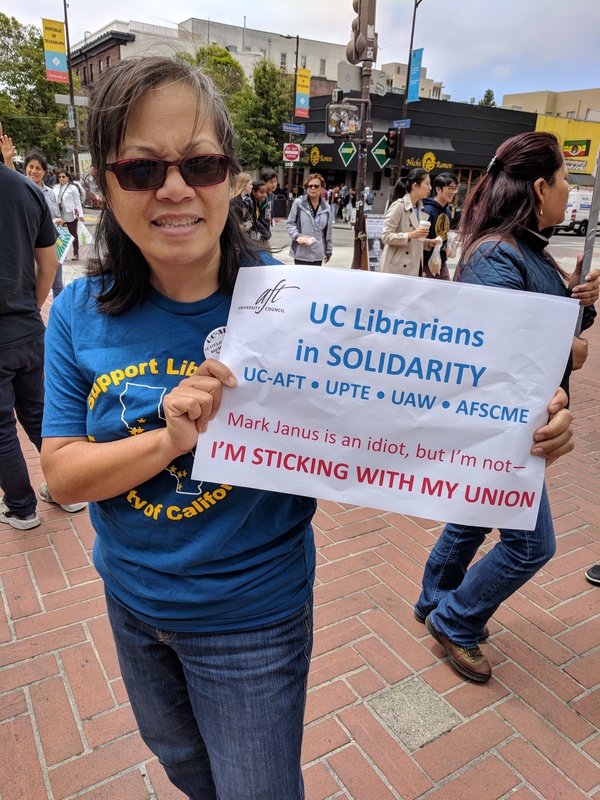 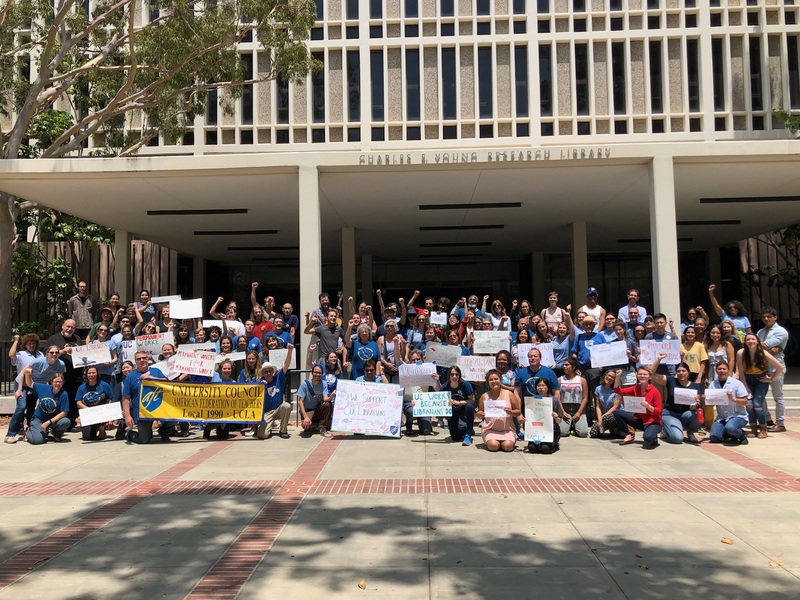 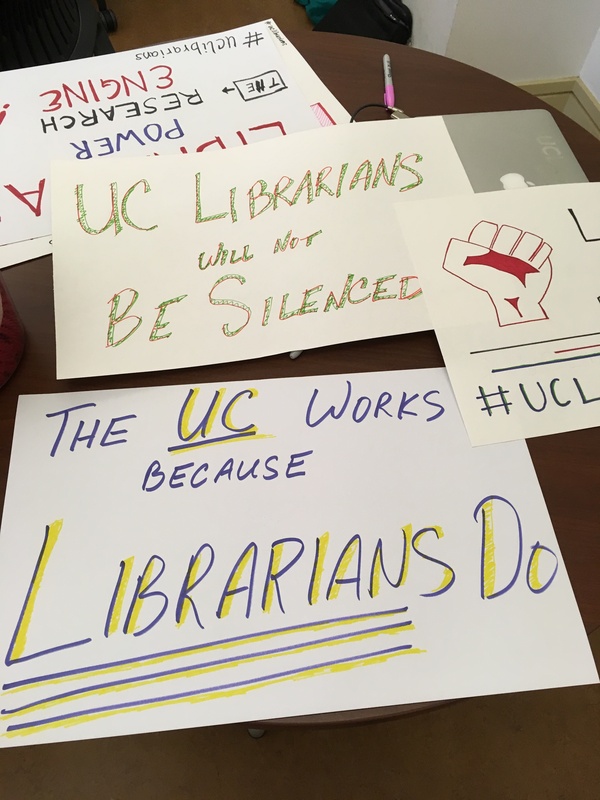 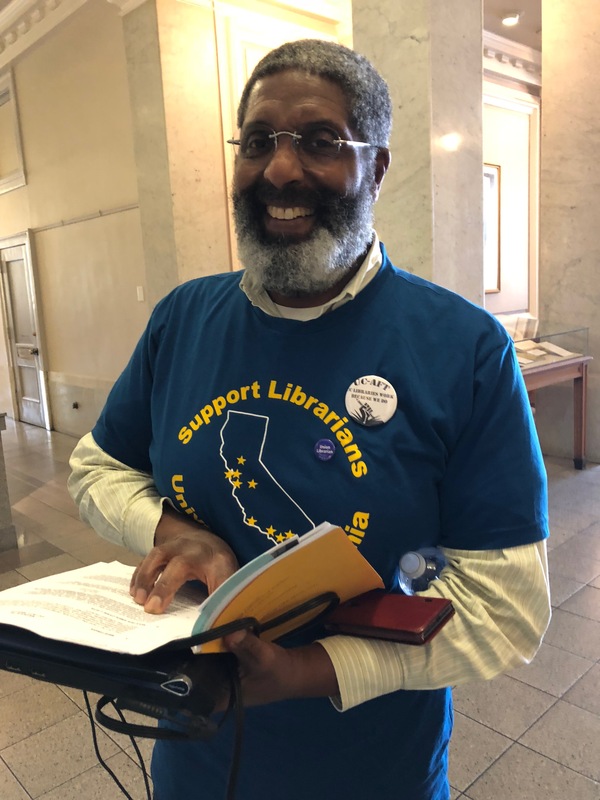 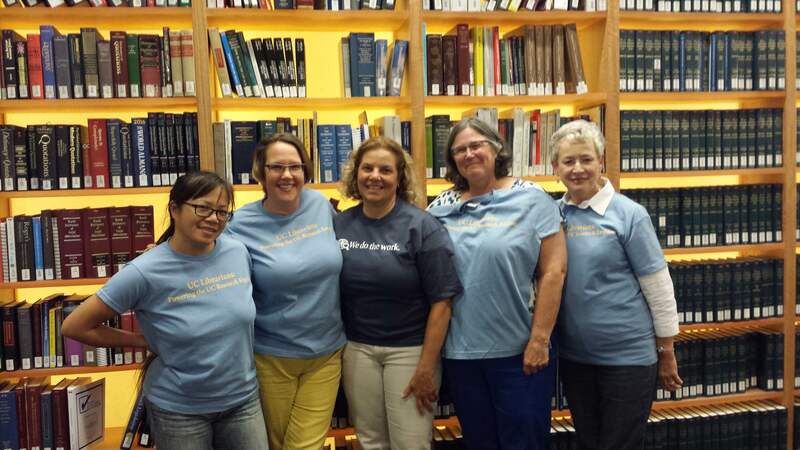 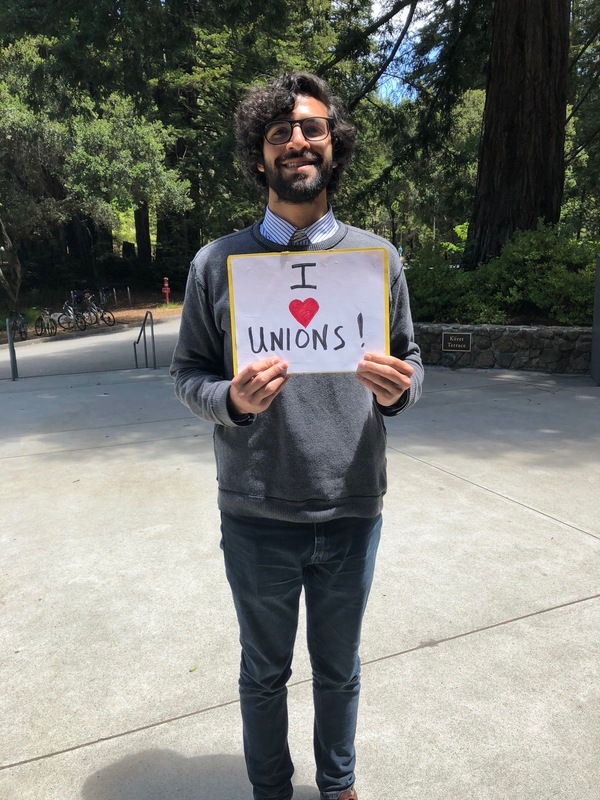 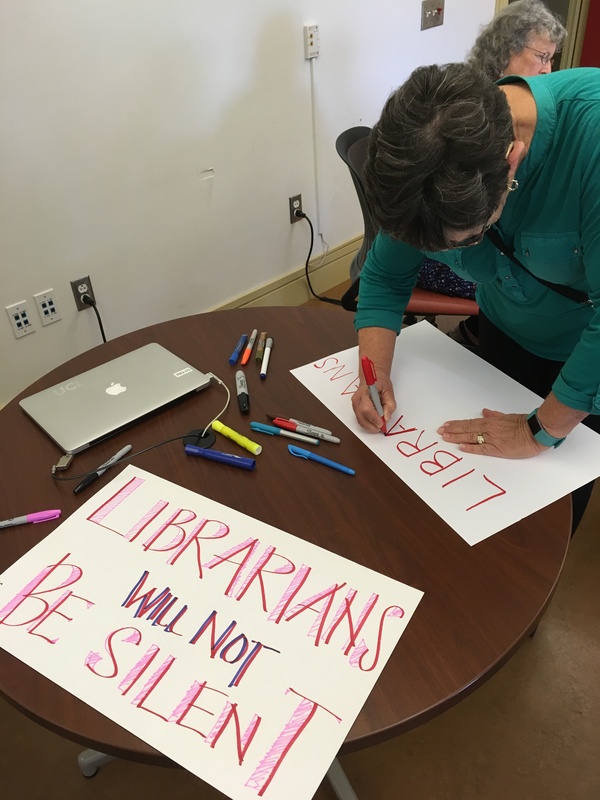 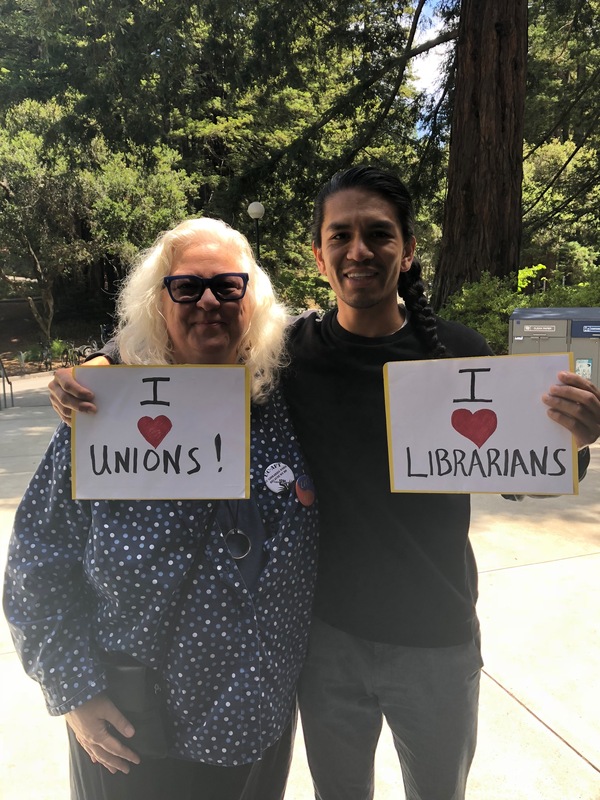 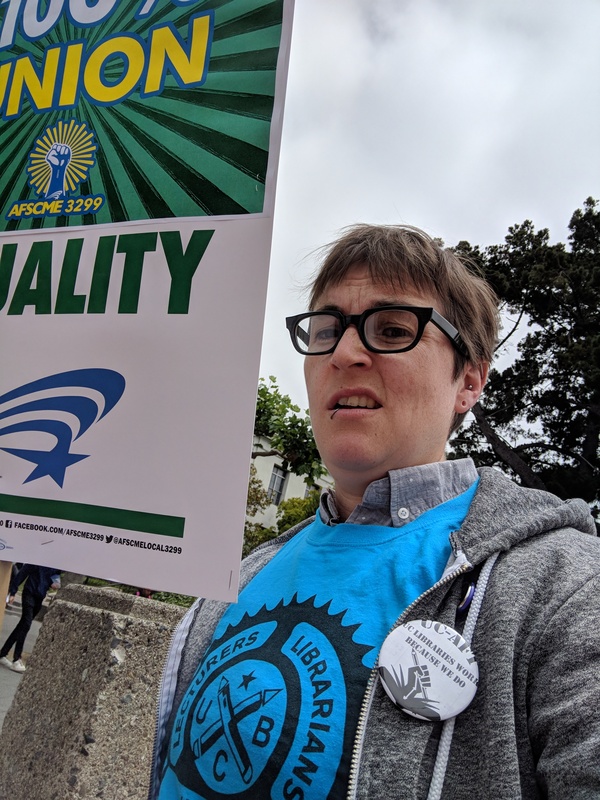 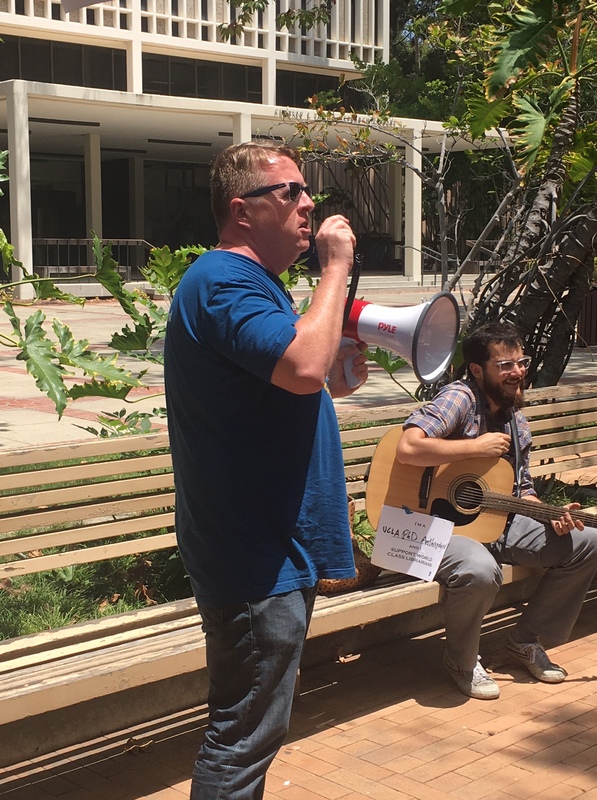 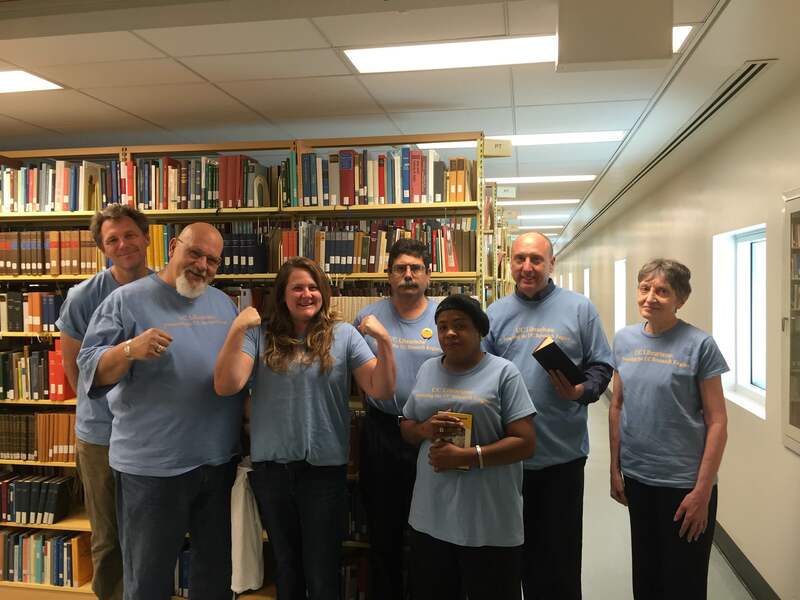 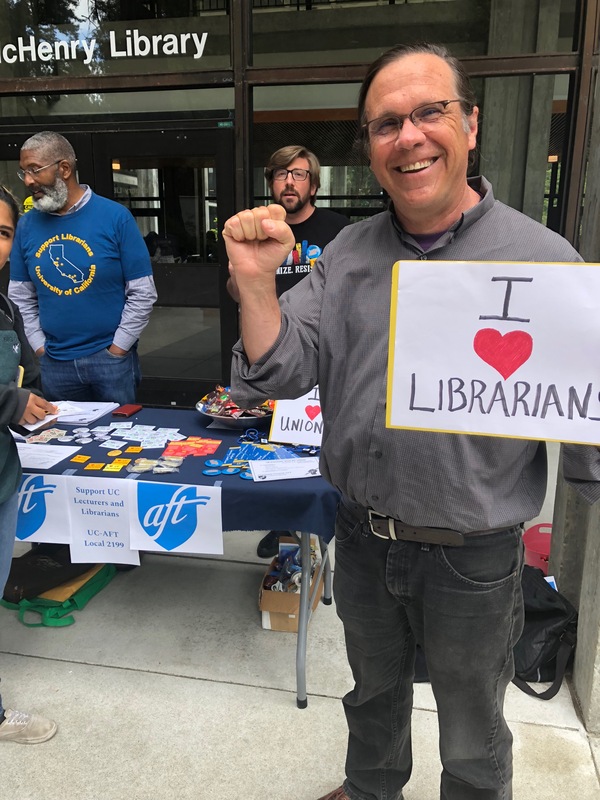 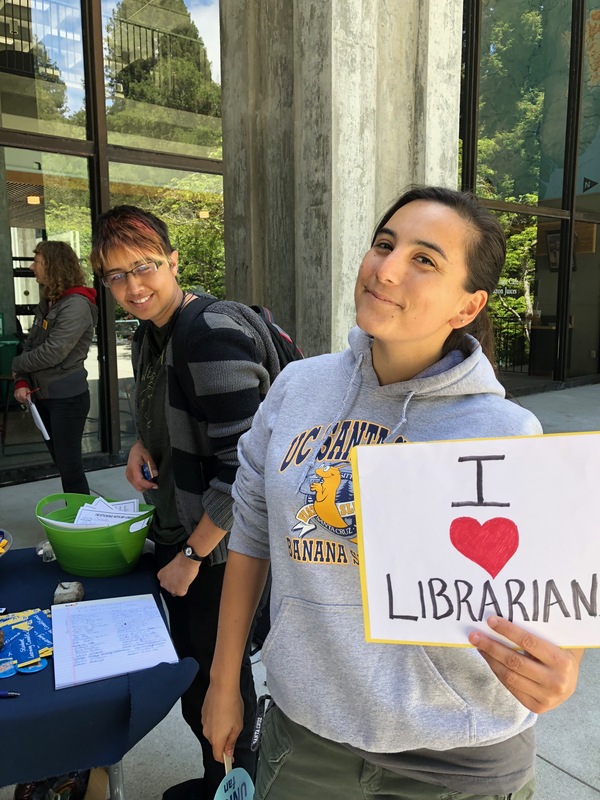 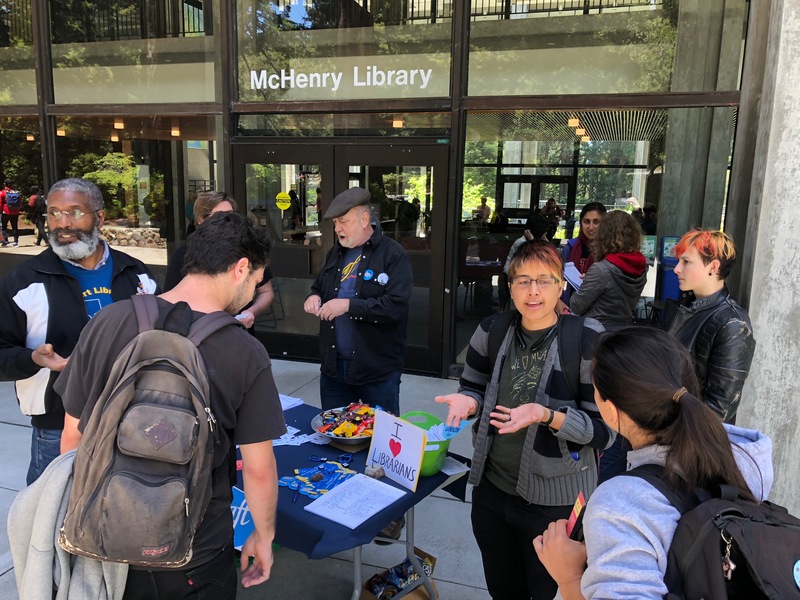 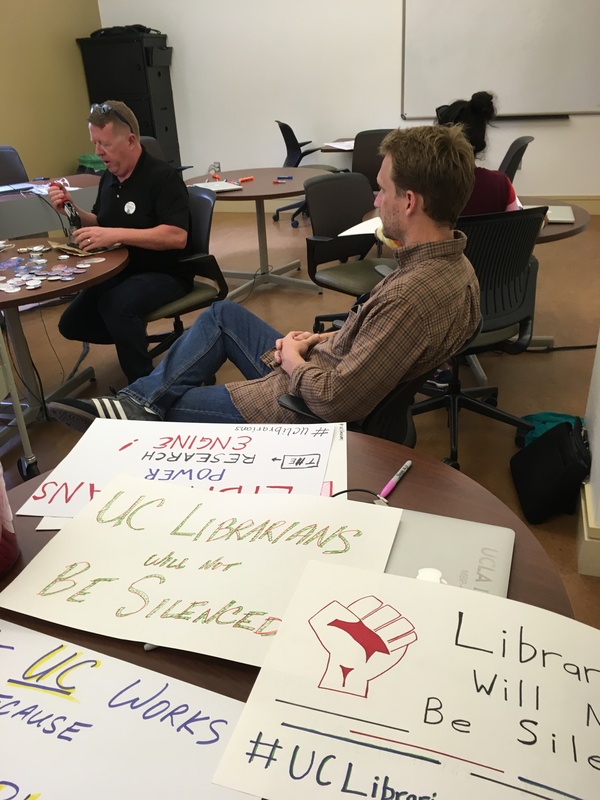 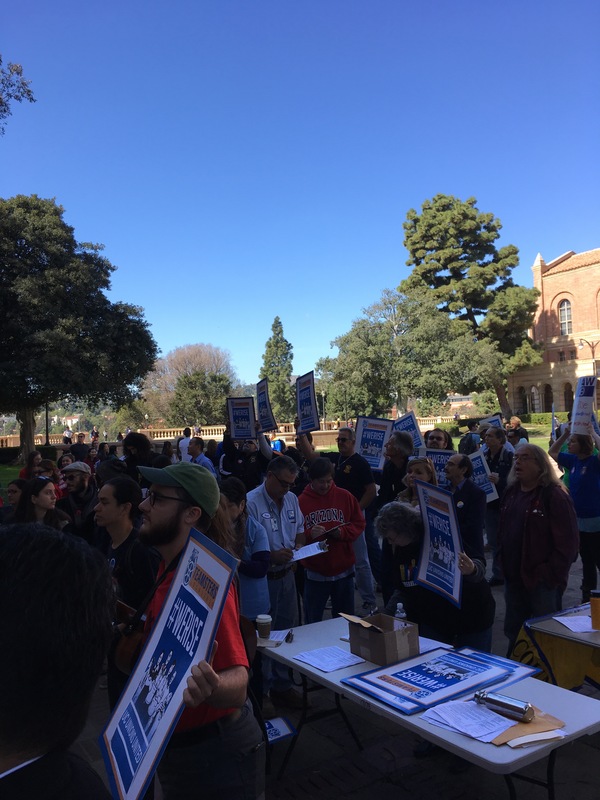 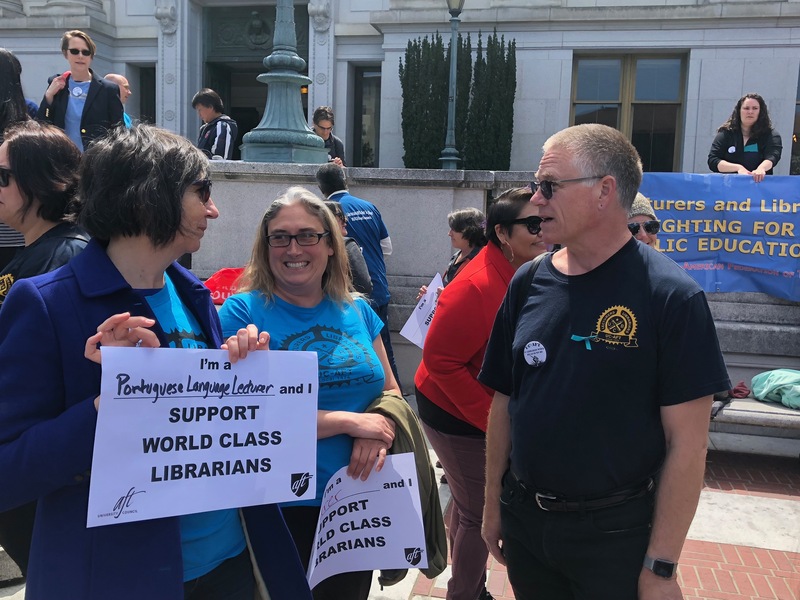 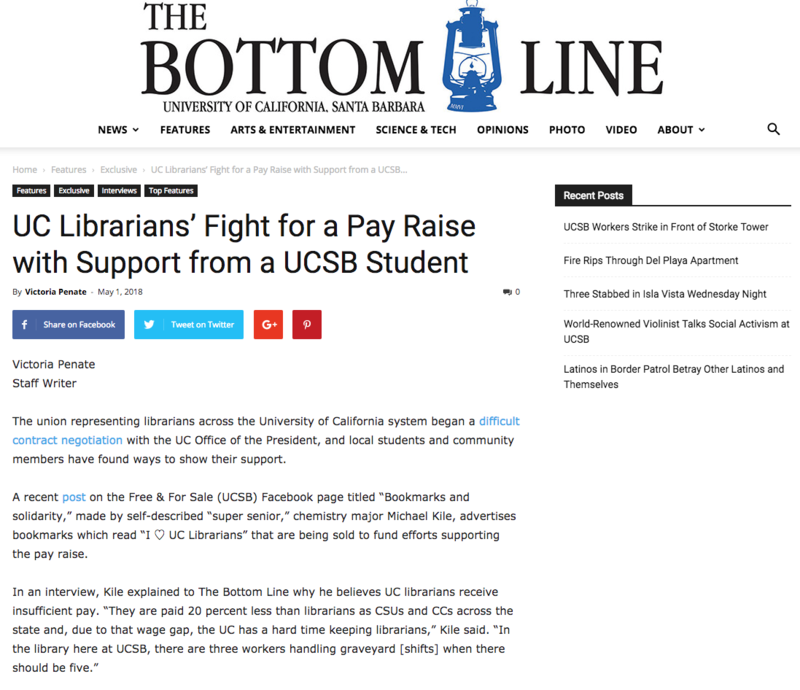 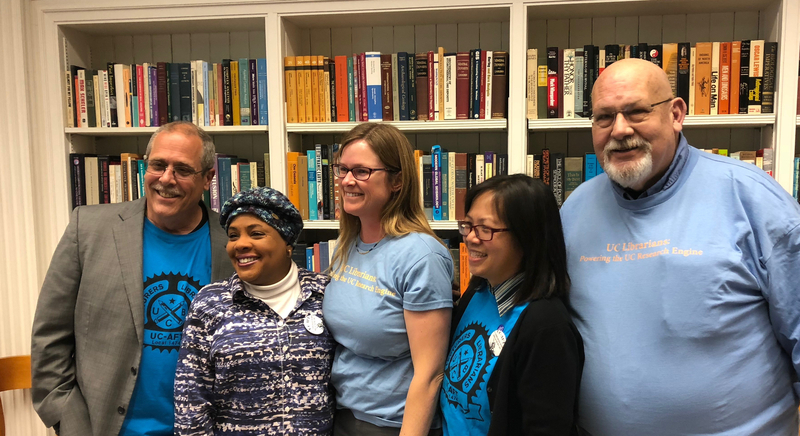 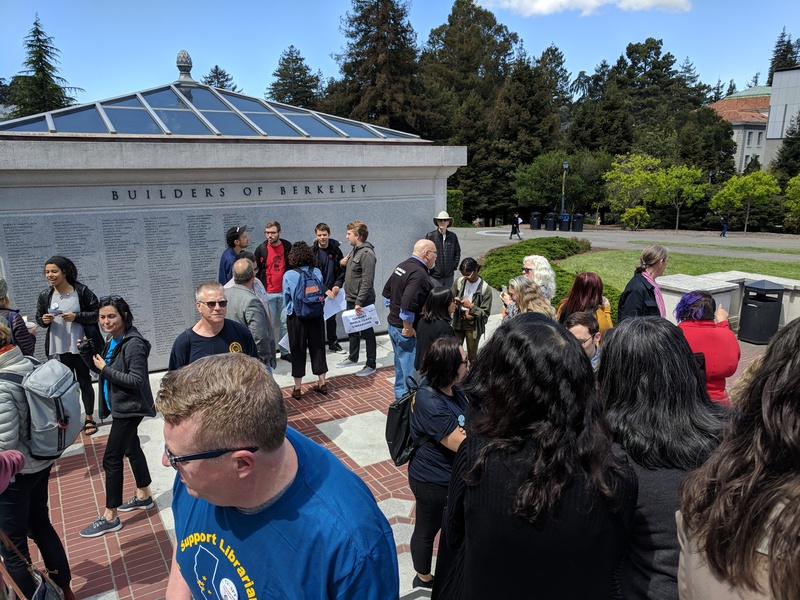 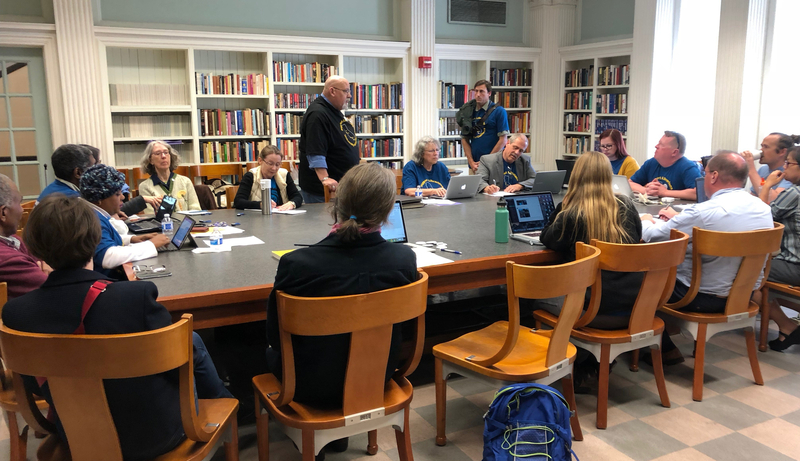 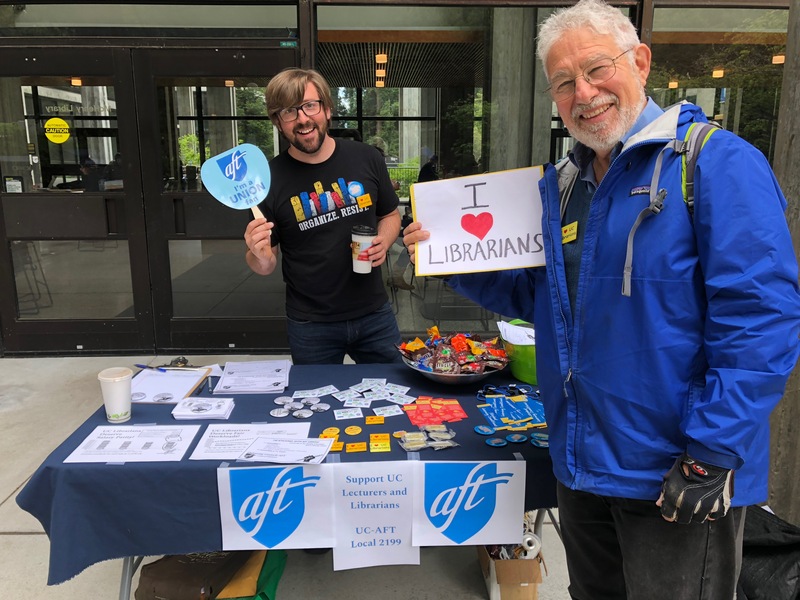 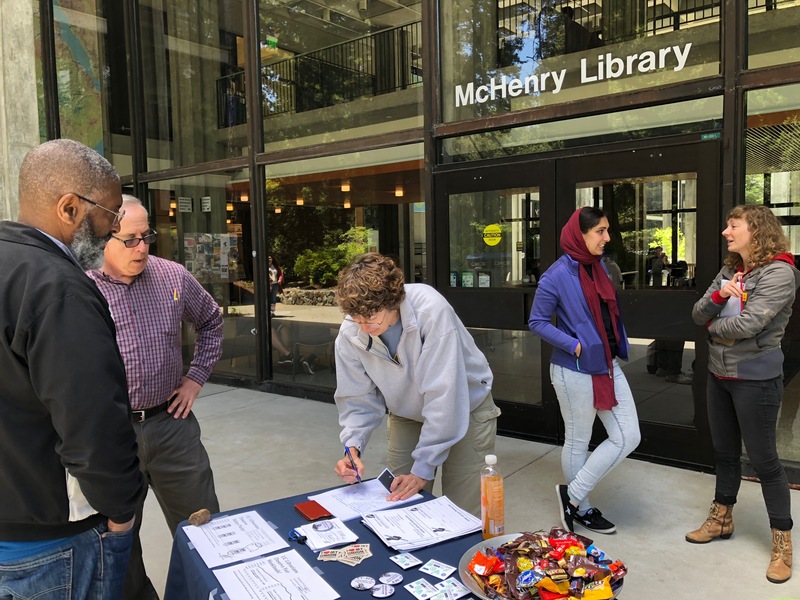 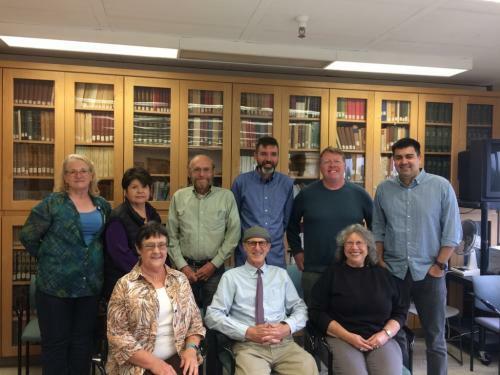 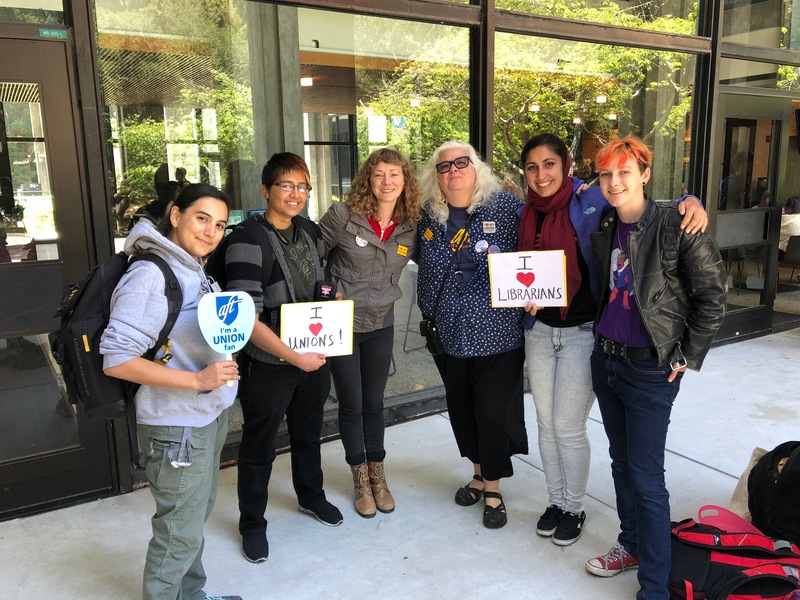 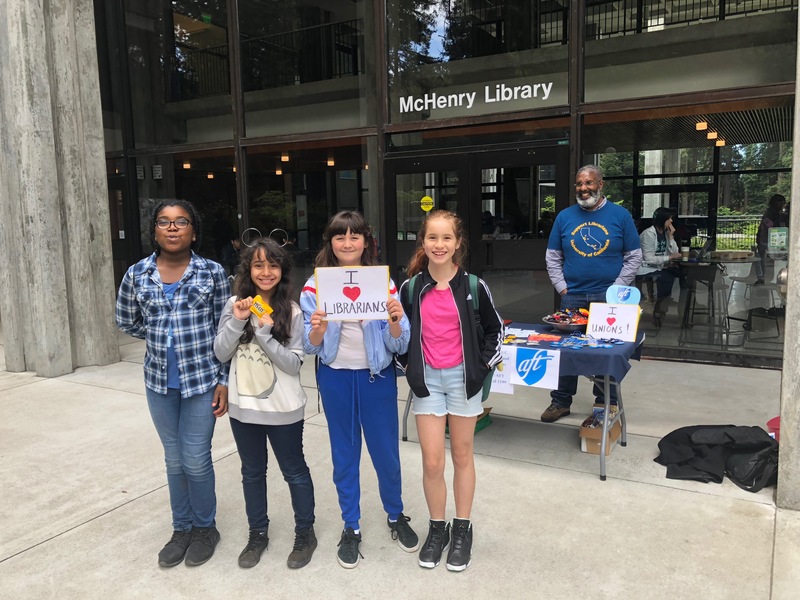 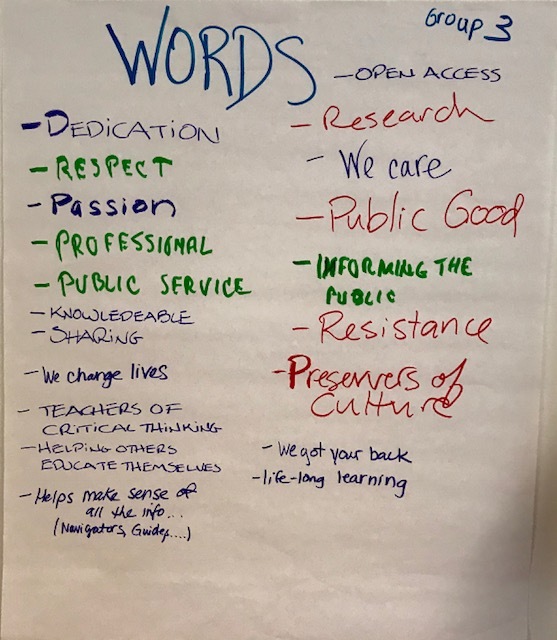 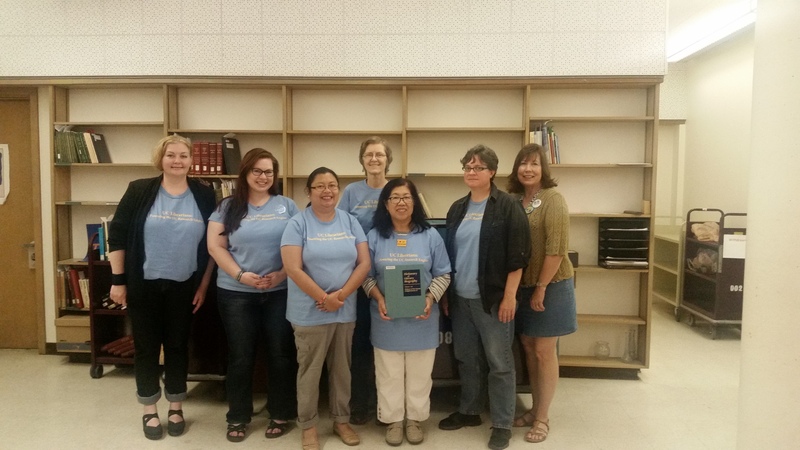 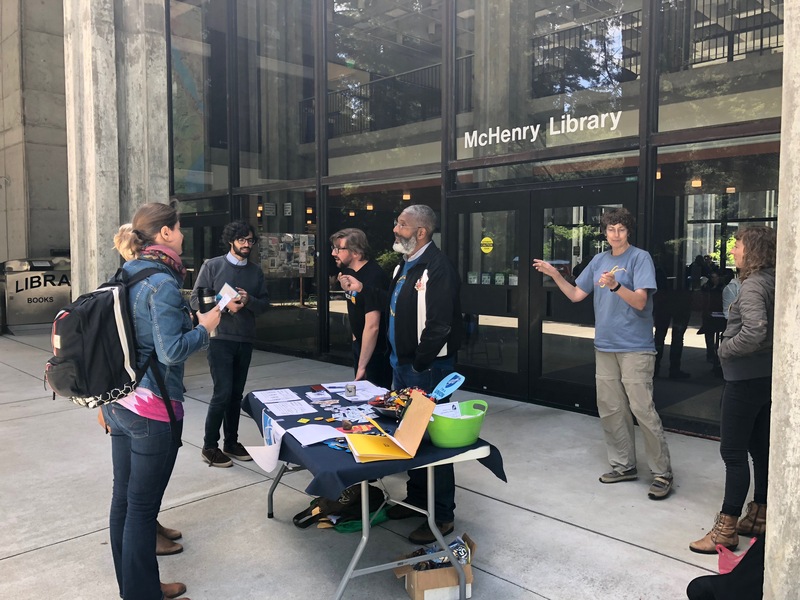 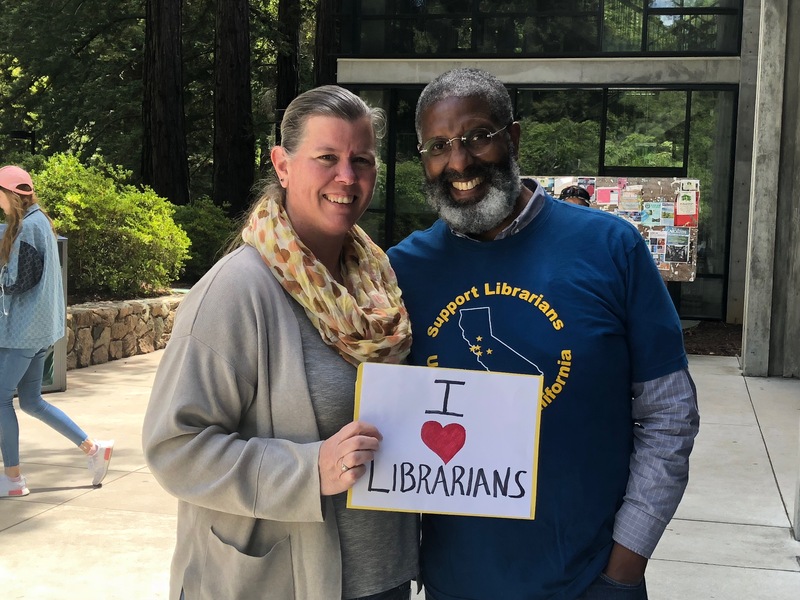 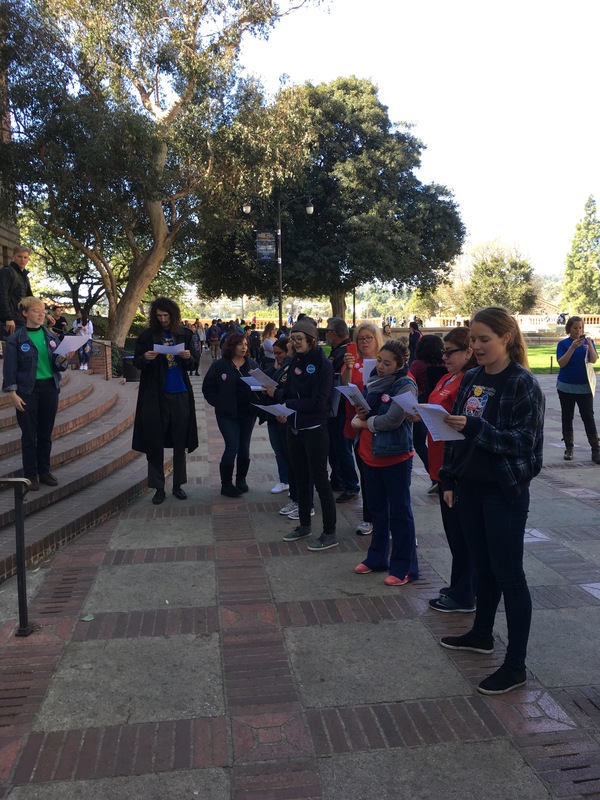 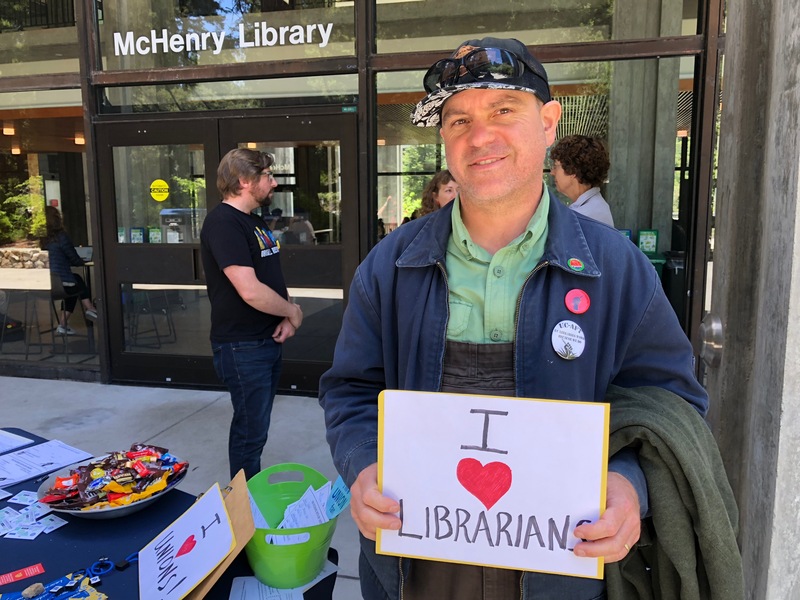 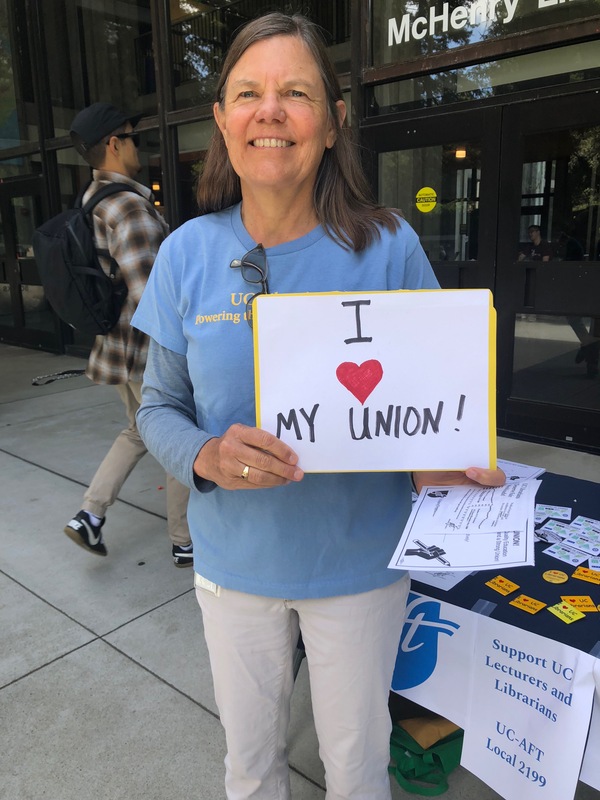 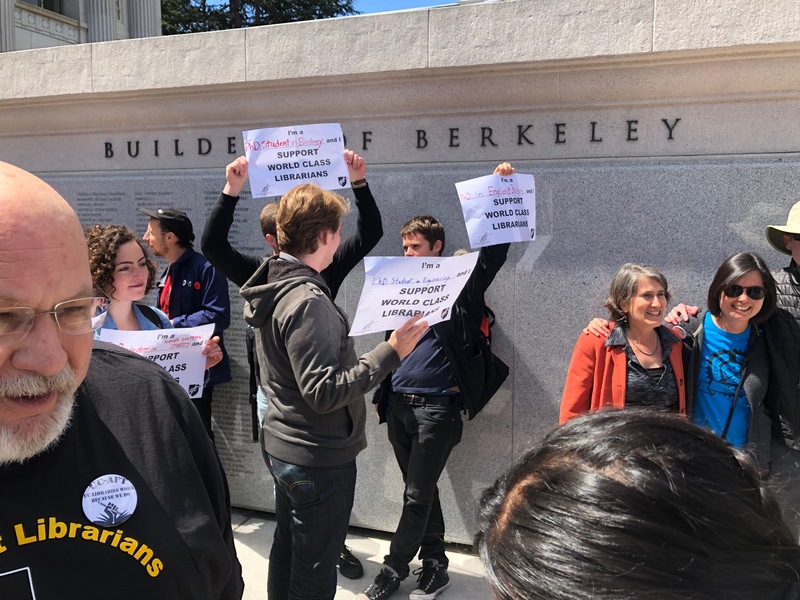 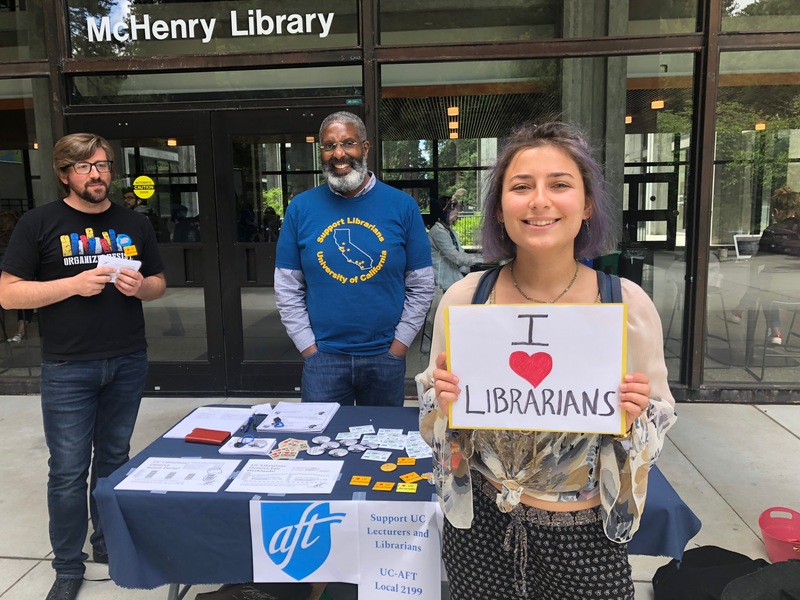 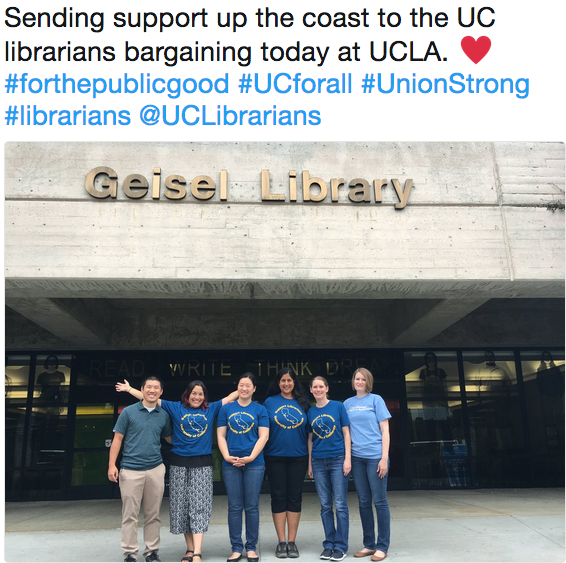 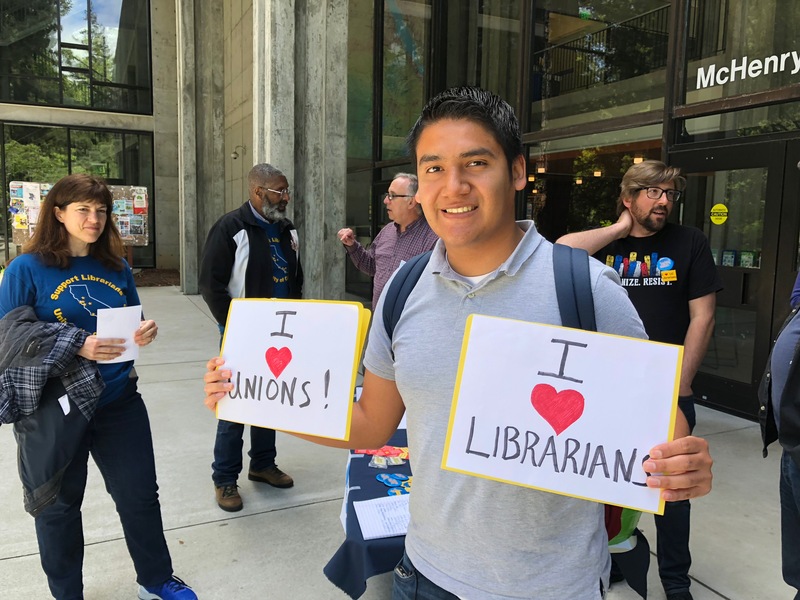 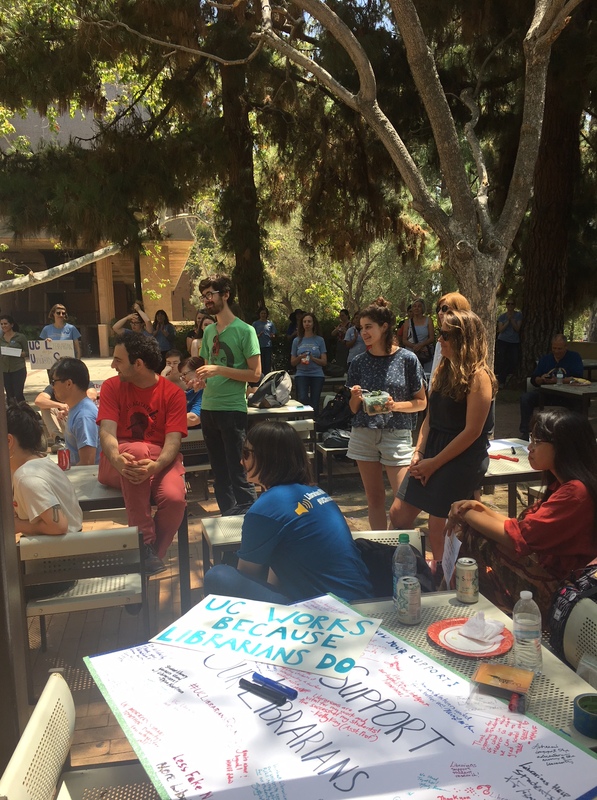 While media efforts are vitally important, don’t underestimate the power of talking with your librarian colleagues, faculty, staff and students about the importance of this bargaining campaign. 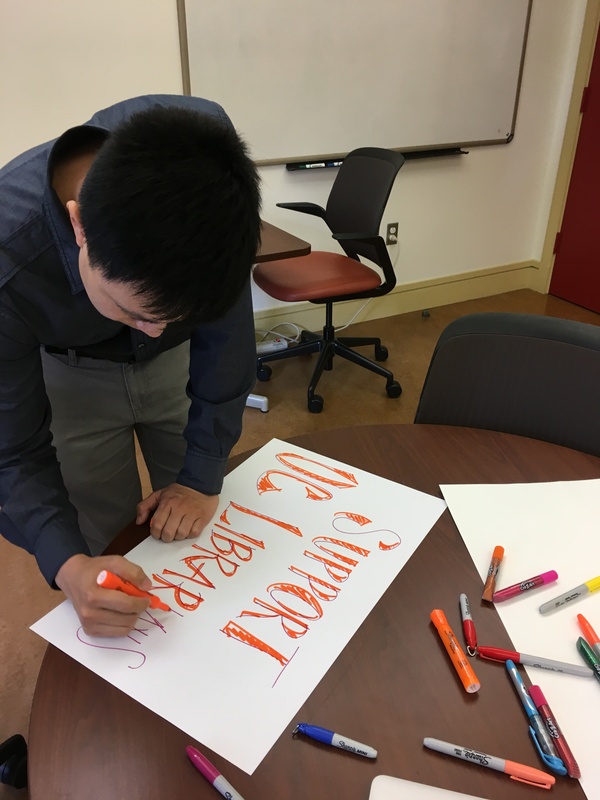 Word of mouth is the most powerful form of messaging!